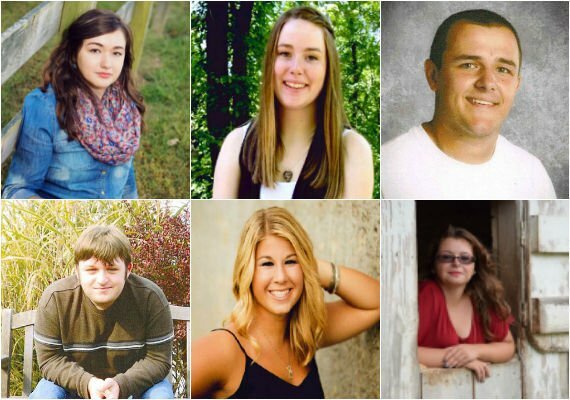 Elverado High School has honored Taylor Christian, Gabrielle Eisenhauer, Landon Hicks, Alec Valerius, Brooke Whittington and Ellie Winthrop for outstanding academics. Christian, 18, received a high honor award and principal's award. She is a member of Beta Club and Family, Career and Community Leaders of America. The daughter of Jerry and Cheryl Gassel of Elkville, she plans to major in pharmacy. Eisenhauer, 18, received high honor roll, perfect attendance and principal’s awards, Beta Club pin, varsity volleyball letter and Daughters of the American Revolution Scholarship. She works in the high school office, is student council treasurer and treasurer of her class. She is a member of Beta Club, FCCLA, Fellowship of Christian Athletes and FFA. The daughter Daniel and Janet Eisenhauer of Elkville, she plans to study physical therapy. Hicks, 18, received honor roll and principal’s awards. The son of Beth and Rob Hicks of Vergennes, he plans to attend John A. Logan College. Valerius, 18, was named second team all-conference and first team all-conference. He is a member of Beta Club, student council and the basketball, baseball, football and bass fishing teams. The son of Dirk and Sharon Valerius of Elkville, he plans to attend John A. Logan College. Whittington, 17, is an Illinois State Scholar. She is a member of Beta Club, student council, FCCLA, FCA and the softball and basketball teams. The daughter of Greg and Jill Whittington of Elkville, she plans to study speech pathology. Winthrop, 18, is an Illinois State Scholar, National Merit Semi-Finalist and recipient of SIUC Dean's Scholarship. She is a member of FCCLA, Beta Club, drama club, FCA and the varsity volleyball team, and is secretary of her class. The daughter of Allen and Jill Winthrop of Elkville, she plans to major in secondary mathematics education at Southern Illinois University Carbondale. Commencement will be at May 13 at the high school. Valedictorian is Ellie Winthrop; salutatorian is Gabrielle Eisenhauer. Headlines of the high school are sounding pretty interesting buddy hope students of the institute get quality education. Students read reviews and rating lists for locating of top paper writing services with their final results are become perfect.